One of the most obvious and major contributors to a home’s value is curb value. Curb value is exactly what it sounds like: how nice a home looks from the curb. There is a wide assortment of things that you can do to improve your home’s curb value. Some of these ways are more complex, such as changing the texture and color of your home’s exterior. Other times are more landscaping based, such as managing a nice lawn or planting trees (both which increase the value of your home). Sometimes, it can even be as simple as repainting your front door, which is surprisingly more effective than you might think. A home has to able to be lived in. That’s kind of the entire point of purchasing a home. For this reason, it pays off to make sure that the amenities and comforts that a home is supposed to provide are in working order. This means making sure that the wiring throughout a home is efficient and well implemented, and that the plumbing is updated and won’t cause water damage. Installing a more efficient air conditioning unit or furnace pays off high dividends, as well. One of the clearest bang for your buck investments that you can make is remodeling your kitchen. 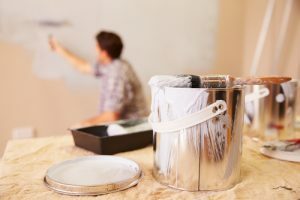 Usually, the money you put into updating a kitchen will increase the value of your home by a lot more than you put into it, depending on how well the remodel is enacted. This is because kitchens and bathrooms are the areas in a home where people tend to spend the most time. On top of that, these rooms are usually the most expensive to update, and thus are used as a model to determine how well-maintained and built the rest of the home is (whether that is a fair judgement or not).